Symptoms include pain, stiffness and swelling in the joints, Osteoarthritis is a degenerative condition often referred to as “wear and tear”. It is generally caused by postural strains, heavy manual work or old injuries. Recent evidence also links it to diet which can exacerbate inflammation in the body. 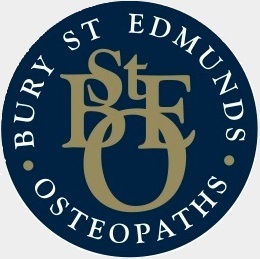 Osteopaths can help manage Osteoarthritis most effectively by assisting with early diagnosis and providing guidance on changes to lifestyle in order to prevent further degeneration. Gentle Osteopathic treatment also works to relieve symptoms on an ongoing basis by reducing inflammation, swelling and pain, and improving mobility of the joints. Rheumatoid Arthritis is more difficult to treat as the patient also experiences an auto-immune response which combines the symptoms of Osteoarthritis, with aches and pains all over the body and often more extreme swelling of joints and reduction in movement. Osteopaths can however help to relieve symptoms that are connected to the musculoskeletal system. In all cases of arthritis, early diagnosis and guidance on lifestyle changes provides sufferers with the best tools to manage their Arthritis and reduce suffering. Contact us for more information.